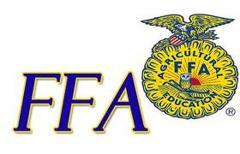 The National FFA Organization is a dynamic youth led, leadership organization. Founded in 1928, today the organization has state associations in all 50 states, the Virgin Islands and Puerto Rico and with over half a million members, it is the nation’s largest youth organization. Students participate in a variety of career development contests, community service projects and state and national leadership conferences and conventions in order to become more effective leaders. FFA also provides students a relationship component between instructor, community and peer, which serves to develop ethics and integrity, but also to challenge and motivate. Students in FFA strive for premier leadership, personal growth and career success through agricultural science education. FFA organizes many events at Red Wing High School including service projects like the Hunger Month Food Shelf Drive and Poverty Night, Adopt a Highway, Earth Day's First Grader events and the community wide Day of Service and Caring, along with other education eventsand recreation events.